It was launched with a thought of a newspaper which should be only for the readers below 21 years they should also have their own newspaper at least once in a month, this gave birth to this newspaper. It was launched for the specific target segment and caters to the growing need for information in the field of education. The paradigm shift in the way education is viewed and its ongoing change needs to be brought to students, parents, educationists and the academic circles. The initial issues were in different formats and with different designs, which got fixed to a tabloid form. It became more popular after 2007 as its circulation increased. 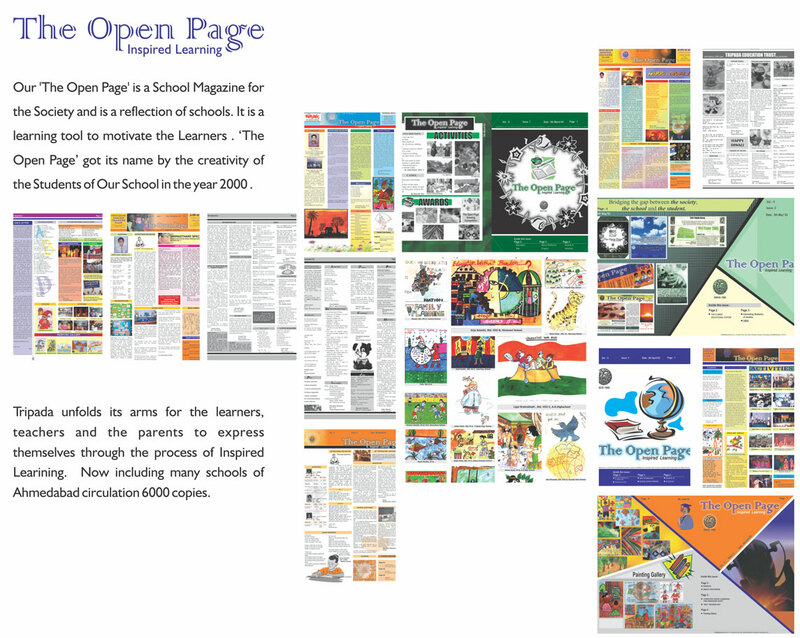 The Open Page has been in existence since 2000. At present more than 40,000 copies along with e-copies are being circulated all over Gujarat. The Open Page covers poems, short stories, serial stories, drawings & printings, cartoons, new games, forgotten games, academicians corner, happenings in the education world in schools, colleges and alternative educational institutions, current trends in education and the future prospects, parents corner, parents views, current affairs related to career and education, counseling and of course the editorial. We also include quizzes, contests, some educational advertising etc. with the sole aim of making education transparent, understandable, interesting and easy. The Open Page has been conducting various competitions across Gujarat such as Essay writing Competition, Drawing Competition and Photography Competition, Chess Competition and will be doing many more in the coming years.